On this page you can listen to or read about other people who have PWS. You will also find information about getting involved and where to find support. Erin Gumbleton talks about her life with PWS with a wonderfully positive outlook. Erin is speaking at the 3rd Asia-Pacific Conference in Melbourne, Australia, 2015. Jacob Zavitz, age 21, talks about his personal experiences of living with PWS and his battle with food. Jacob is speaking at the FPWR Canada Conference 2013. 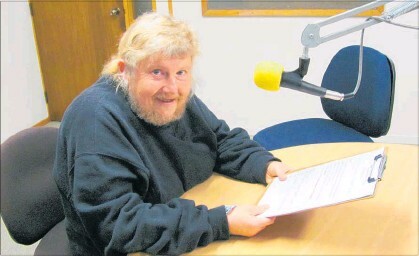 Ivan Dingle lives in Taradale, Hawkes Bay, and has hosted his own radio show. At the end of 2016, he achieved a Radio Kidnappers Broadcasting Achievement Award. Read about his successes in this newspaper article which was printed in the Napier Courier and Hastings Leader. Hannah’s Story: Living Life with PWS. Hannah made this awareness video for PWS Awareness Month in 2013. It explains about PWS and the challenges Hannah is determined to overcome. You may be keen to join our Adults with PWS Leadership Group. The group might discuss ideas about support needs from the NZ PWS Association. You might also speak for other people with PWS by being leaders or creating awareness. We are also looking for people who would like to write information for the group website page. 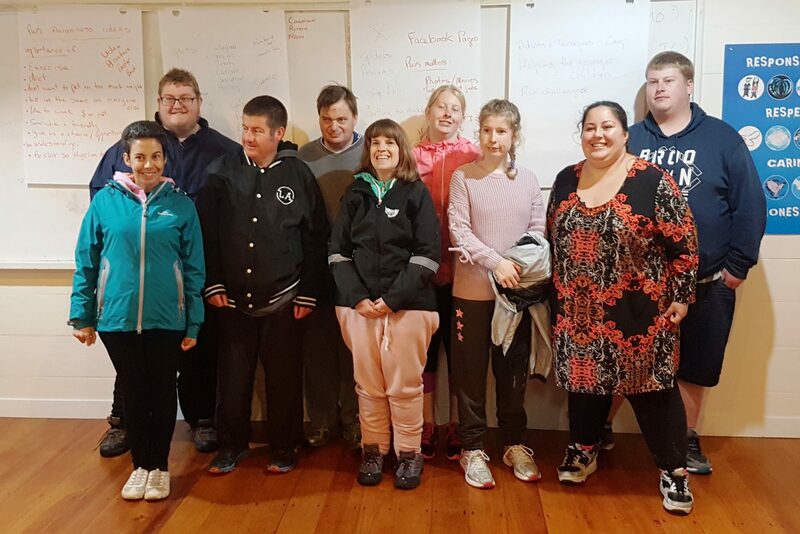 A self-advocacy organisation directed by people with a disability. People First has lots of opportunities to get involved: leadership projects, courses and regional groups. They offer a programme of various sports training and competition for children and adults with disabilities. Find clubs and programmes near you. Young people with disabilities can explore talents, gain new skills and build confidence through music and performance. Branches around Auckland, Hamilton, Tauranga, Wellington, Christchurch. You can go to our Contact Us page to send us a message, or message us on Facebook, or call us on our freephone number: 0800 4 PWS HELP (0800 4 797 4357). We have 2 private groups you can join! This means only members can see your posts. PWS Downunder Online is just for people with PWS living in New Zealand and Australia who are 16 or older. PWS Matters For All (NZ) is for people with PWS, plus support workers, parents and carers. You need to live in New Zealand and be 16 or older. NASCs talk with you about your support needs and decide what support services will be funded for you. You can ask for a review if your needs change. Follow this link and scroll down to find the contact details for your local NASC. The disability system is slowly changing. The new system should make it easier for you to access support. If you live in an Enabling Good Lives area, nothing will change until your next review, unless you contact them earlier. So far, the system has been trialled in Christchurch, Waikato, and begins in MidCentral in October 2018. CCS Disability Action have a great tool for helping you be a self advocate. It’s called How’s it Going? and helps you think about the areas of your life that are working well and some of the things that could be better. Follow this link for more information about CCS advocacy. Find out about other advocacy providers on our NZ Links page. There are lots of free helplines that might be able to help you, for example: Youthline, 0800 What’s Up?, The Samaritans, Citizen’s Advice Bureau, Skylight, 1737, The Lowdown, Depression Helpline and Lifeline Aotearoa. Click here for details. Abbott Philson is a PWSA(USA) Advisory Board Member and has made this awareness video to explain what Prader-Willi syndrome is and describe his experiences. Meagan Michie, age 23, talks about her experiences, overcoming challenges and her amazing achievements. Meagan is speaking at the FPWR Canada Conference 2013. Katherine Stanley is the author of the book ‘A Book of Bullies’. Unfortunately, Katherine was bullied because she has PWS, but at age 17, she published her book about bullying which is for sale on Amazon. She also has a website, a Book of Bullies Facebook page and gives talks about bullying! Read more about her in this blog post. Her book can be borrowed from our Library. 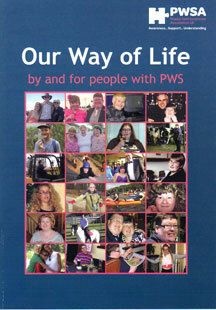 Our Way of Life is a book written by people with PWS in the UK and especially for people with PWS. It’s about what it’s like to live with PWS and how to create a positive and fulfilling life. The book can be borrowed from our Library.